Summary: Social media is one of the best ways to convey our ideas and thoughts in life, so it’s necessary for us to learn how to communicate with people effectively. To meet such needs, AmoLink operates a completely new feature to create powerful and dynamic images for spread. This article explains how to achieve your special post step by step with AmoLink; more functions about this tool are included. Nowadays, people are familiar with using social media to express their feelings with various posts. When our post is spread in friend’s circle, usually the more likes we get, more joyful we will feel. It cannot be denied that social media communication endows us a sense of worth in some degree. When participating in social media, people love visual content, they love creating them, looking at them, sharing them, and (oh yeah) commenting on them. 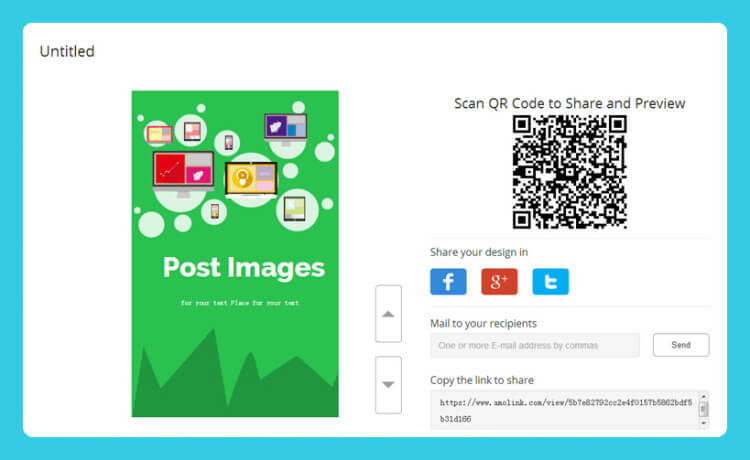 So, to enjoy yourself better on social media sites, if you are still puzzled about how to attract your friends by exquisite posts, AmoLink here can help you create awesome post cards to shock others. Unlike the traditional cards, AmoLink operates a new way to handle your photos and interact with other people in social media sites. It’s an all-in-one innovative online dynamic graphic design tool, which is amazingly easy to use to create professional looking and dynamic images. To create your own original images, below is the step-by step guide. You are limited only by your imagination with this amazing tool! 2. Pick one of AmoLink’s stunning layouts from the sidebar on the left side to use. Search or browse through the options, or even upload one of your own. 3. Customize the layout, adding your own dynamic elements, such as photos, recordings and videos. 4. Of course, you can drag and drop the free graphics or text to further create your original design, such as change the text size, font style, or pick different colors. 5. Save and share your design. 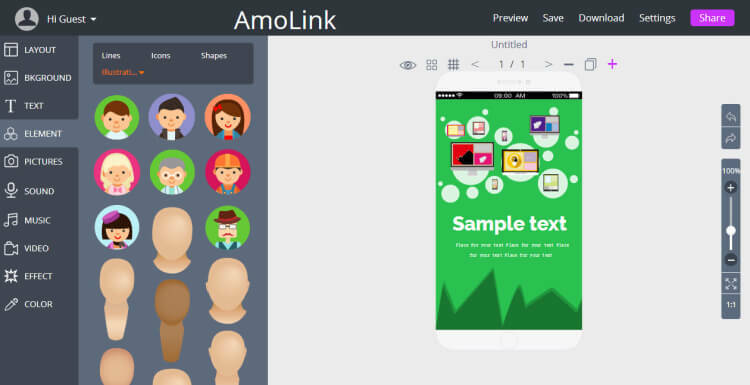 Okay, just go and unleash your own inspiration with AmoLink! 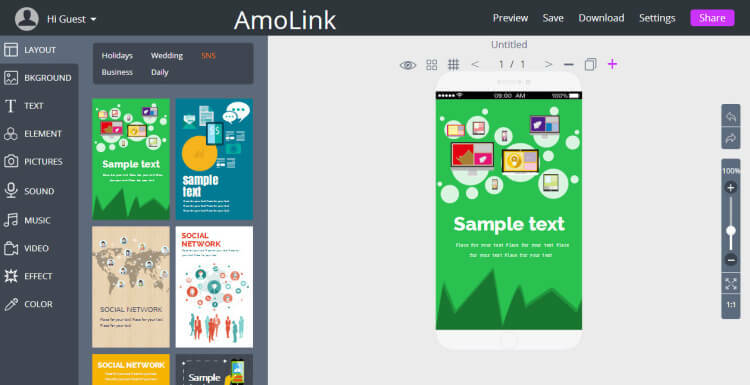 1 Support video upload, for example, the video from YouTube, you can just embed it at AmoLink card to become more vivid. 2 Available to add dynamic elements, there are various ready-made elements in AmoLink tool. 3 Support sound recording, you can record what you want to say in AmoLink card to your recipient, such as your invite, notice, wish or blessings, etc. 4 Exquisite templates and various background images, such as greeting cards, Facebook post, personal CV or even business promotion, etc. 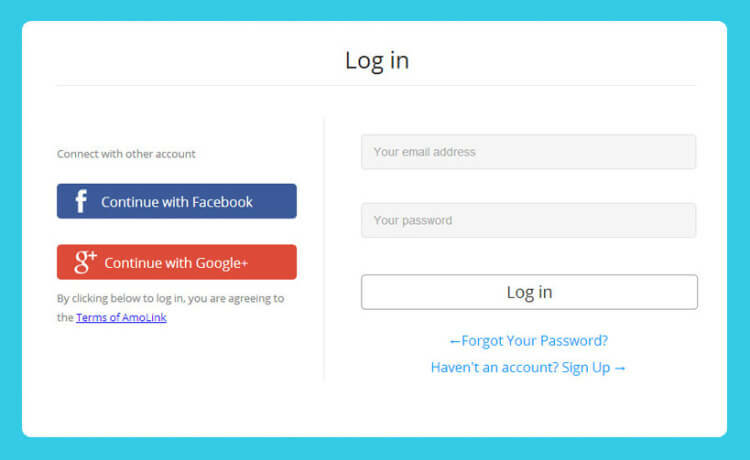 5 What’s more, you can upload photos from your local file or your Facebook account and set interesting links. What Can AmoLink Company Do for You? 1 Create daily greeting cards, our card templates cover from frequently-used and daily greeting card templates, such as holiday cards (Christmas, New Year, Thanksgiving, etc. ), thank you cards, birthday day cards, invitation cards to other personalized delicate card templates. 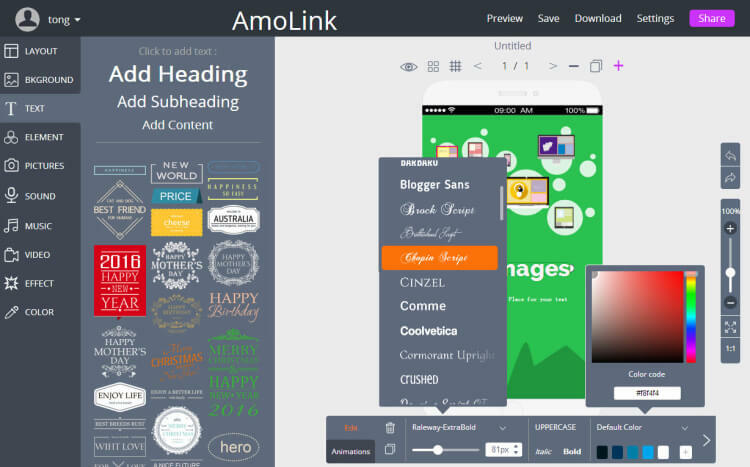 What inspire AmoLink users most is that more than three luxuriant templates can be made totally for free per month. 2 Spread and share highly eye-catching picture artwork, or maybe more accurate that depicted as dynamic pic presentation to image-based social networks and platforms such as Facebook, Pinterest, and Instagram. 3 It’s helpful for your business promotion, you can set tables to collect users’ feedback of your product or service in AmoLink, such as how many likes you get from your users. If you want to use AmoLink card in other special and professional way, just contact us, tell us what we can help do for you. We are waiting for you!